Another live export shipment of calves is due to arrive in Ramsgate tomorrow (January 24) to be loaded aboard transport ship the Joline. 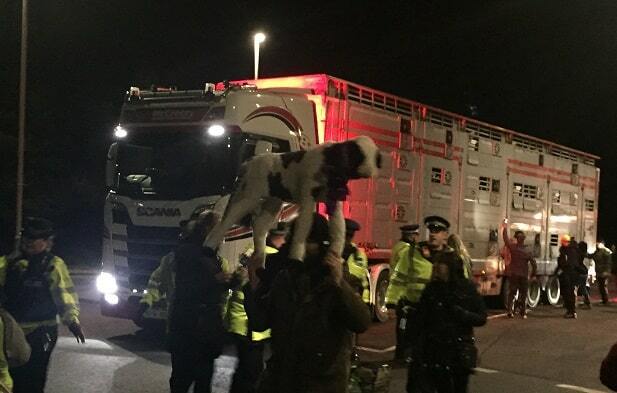 The shipment follows calls from the RSPCA for a ban on long-distance live exports after 247 calves travelling from Scotland to Spain, via Ramsgate and Calais, were stranded onboard the vessel for in excess of 16 hours. The two to five week old calves were in transit -including breaks – for more than 70 hours. Technical problems with the Joline meant the calves were taken to a local lairage facility and offloaded on January 10. The following night the calves were loaded onto the transporter again to sail from Ramsgate port. But the boat was unable to berth and the 2-5 week old calves were stranded on board in cold winter weather, without the correct methods to feed them as they were unweaned, and well over the legal time requirements that are a maximum of 9 hours travel. Calf exports have recently resumed through Ramsgate to the continent for the first time in five and a half years. 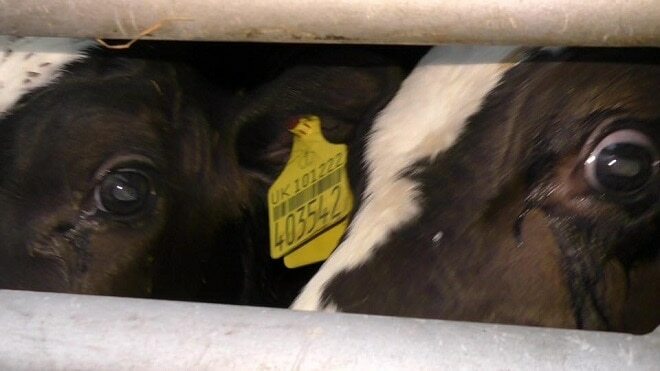 Current law states that calves must not be transported for more than nine hours without an hour rest period, and not longer than 21 hours before a 24 hour rest. “Currently transport companies arrange and time the distances down to the minute to take these animals on a journey as long as legally possible, but this journey showed that just one delay can mean a breach of the law. 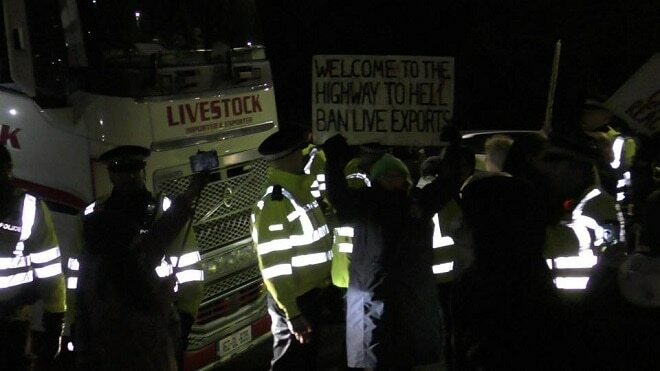 “This is the first time in several years that we’re aware of a lorry being turned away from the port and sent to a local farm to rest. It is positive to see that the law was being enforced in this instance, but we believe the law doesn’t go far enough to protect the animals. In a vote in December, MEPs in the Transport Committee backed calls for stronger regulations, including a four-hour limit on live transportation for slaughter and an eight-hour time limit on any live animal transport. The report also demanded a four-hour limit on any transport of unweaned calves and an effective ban on exports outside of Europe, where EU animal welfare laws cannot be enforced. Tomorrow’s lorries are due between 7am-8am. Protesters will be gathering at Nethercourt roundabout at 6am.